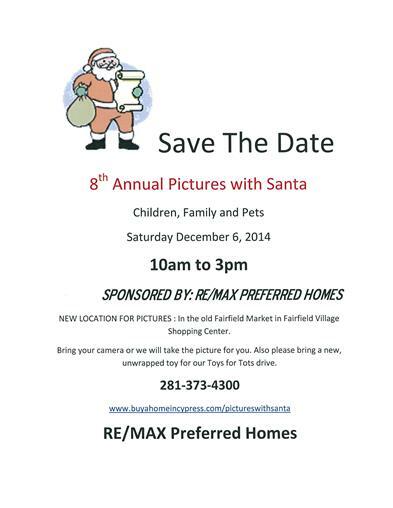 RE/MAX Preferred Homes and the Mike Schroeder Team will be holding their 8th Annual Pictures with Santa on Saturday December 6th at the old Harlan's Grocery Store/Fairfield Market in the same building as our RE/MAX Office. The pictures are free however we ask that you bring one unwrapped toy for our Toys for Tots toy drive. You can bring your own camera or we will take the picture for you. Bring your family and you can even bring your pets. We look forward to seeing everyone for our pictures with Santa in Cypress. 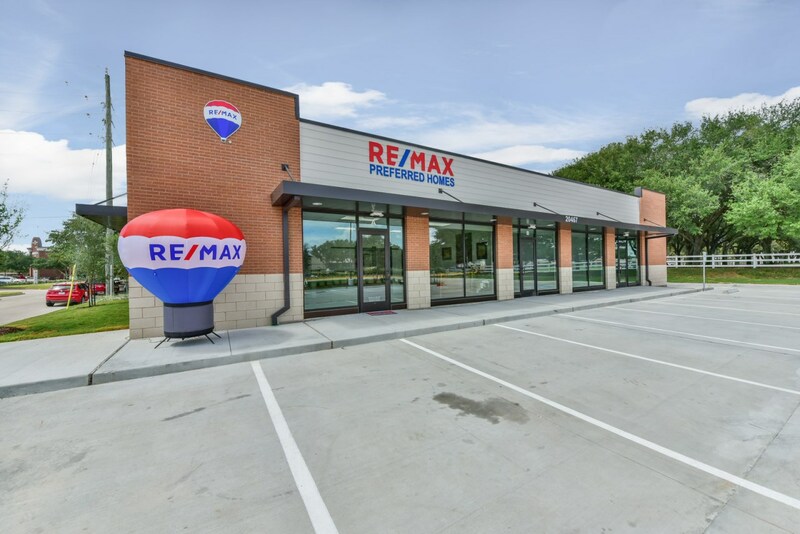 For questions call 281-373-4300 or email mike@mikeschroederteam.com.